Dyno-Supreme arterial, 30 index, is a high tinting, fast acting, deep penetrating preserving chemical with excellent clearing actions. Excellent for use in drowning, tissue gas and long delayed embalming cases. Great for treatment of extravascular blood discolouration and drug residues. Can alleviate effects of edema. 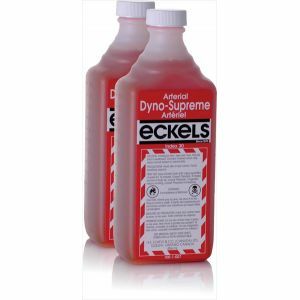 Eckels products are free of Phenolics and Glutaraldehyde.